On August 1st Herb Fox was honored at the 17th Annual La Harpe Classic Car Show. 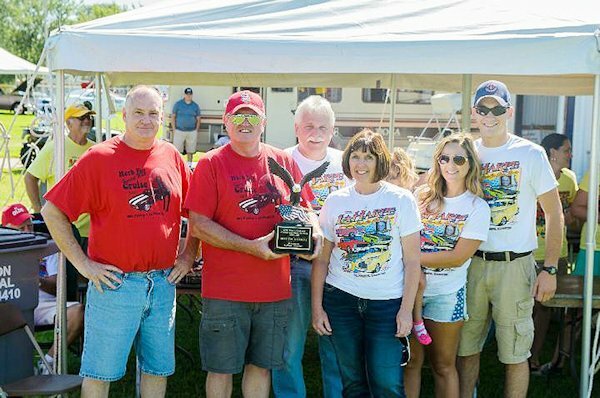 A trophy sponsored by the La Harpe Community was designed for an entry at the car show. The Fox family had the honor of choosing this recipient. This years recipient was Sheldon Link of Blandinsville, with his 1978 Chevrolet Z28 Camaro. Link purchased his Camaro new from Herb at Fred Gibb Chevrolet in La Harpe.